Don’t forget to order your May bouquets! Designed for customers in the Fulshear/Richmond/Sugar Land area. Don’t want to drive into Houston on Saturday morning for locally grown flowers? Bouquet subscriptions might be the answer for you! After ordering online, your bi-weekly bouquet will be available for PICK-UP ONLY at Blockhouse Coffee in Historic Downtown Richmond, TX every other Wednesday. 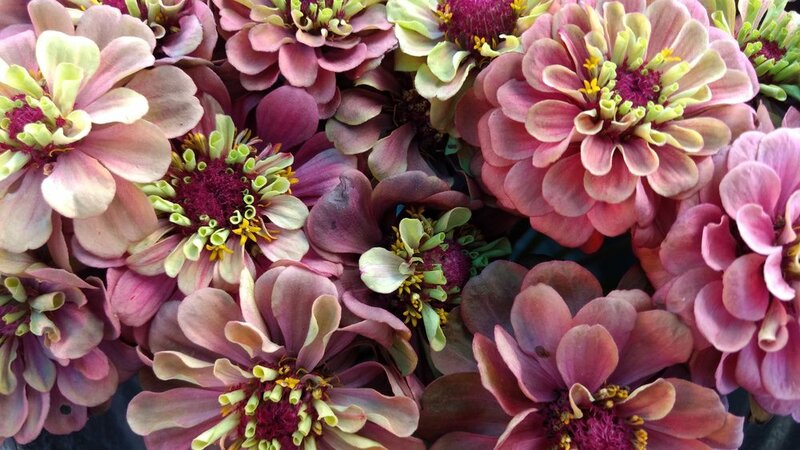 Local Flora is a sustainably managed flower farm and design studio located 30 miles west of Houston in Fulshear, TX. We focus on growing with the seasons and carefully choose varieties that thrive in our crazy Texas weather. 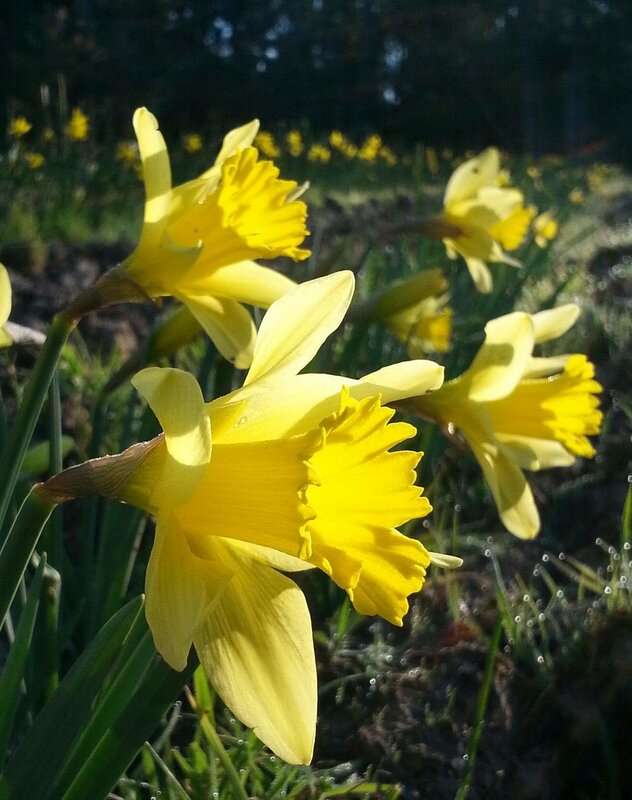 Our goal is to grow year round, but our main abundance occurs during February through November. 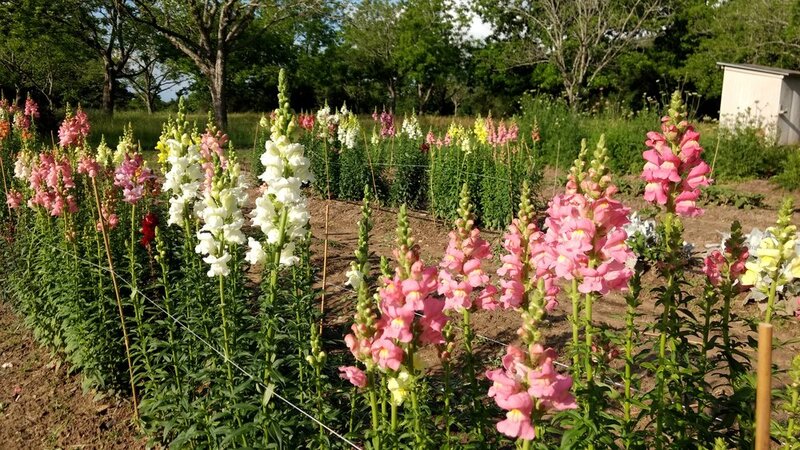 Beginning in late fall through early spring you can expect fragrant stock, flowering kale, snapdragons, sweet william, anemones, ranunculus, tazetta narcissus, daffodils, queen anne’s lace, delphinium, larkspur, poppies, and foxglove. 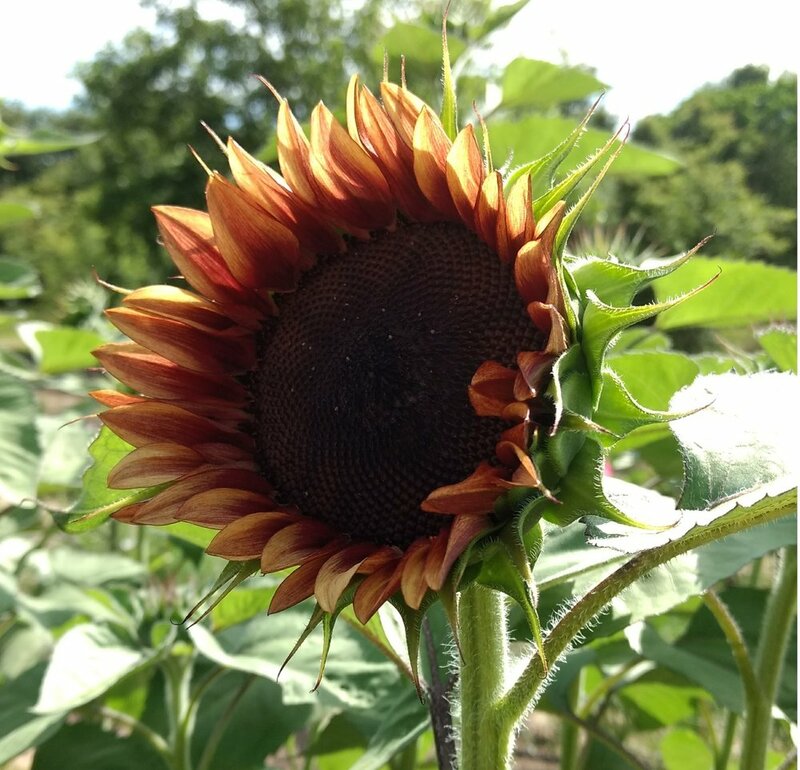 As temperatures heat up in late spring through summer we grow zinnias, pincushion flower, nigella, sunflowers, celosia, amaranth, gomphrena, basil, lisianthus, forget-me-not, cosmos, statice, among many others! At the end of summer we start planting our first wave of cool season annuals and the cycle repeats. Every season we look for new varieties to try. We even have a nice collection of perennials that we harvest from to add an interesting touch to arrangements. You can find our flowers in our booth most Saturdays where we sell bouquets, arrangements and straight bunches. Get there early, we sell out fast! You can order a subscription for pick up every other week on Wednesdays. Follow us on social media for up to date info! 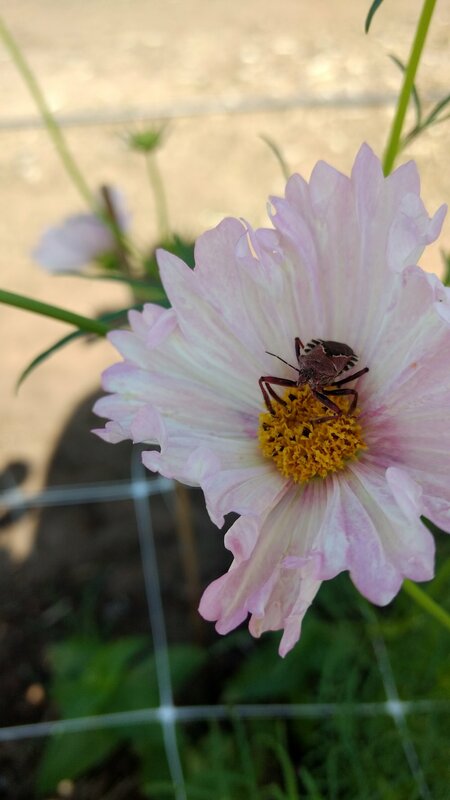 We are dedicated to sustainable agricultural practices and using our extensive knowledge of horticulture and entomology not only to grow premium blooms, but also to create a thriving ecosystem. We even keep bees, so we won’t use anything on our plants that negatively affect the local population. Being growers, we are able to provide fresh, unique blooms with a surprisingly long vase life. Several customers have told me that our flowers have lasted two weeks! With our flowers, you definitely get your money’s worth! My name is Soni Holladay. My husband Boone and I have been professional horticulturists for over a combined 30 years! We met while both working at a plant sale for the now defunct Holistic Garden at TAMU. Since graduating from Texas A&M University with a Bachelor of Science in Horticulture, I have worked in agriculture research at Baylor College of Medicine, as horticulturist and greenhouse manager at the Houston Museum of Natural Science, Cockrell Butterfly Center and in retail and wholesale nurseries. Boone is the Texas A&M Agrilife Extension Horticulture Agent for Fort Bend County. We started farming cut flowers in 2016!